Personal visits to use the archives are welcome but please contact in advance. For general enquiries please email archives [at] bto.org. View a list of current and completed BTO surveys with links to active web pages and PDF summaries. View more information on current surveys. Request data from one or more surveys or email datarequests [at] bto.org. 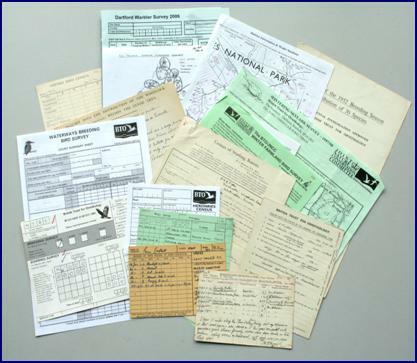 Search the Library Online Catalogue which describes details of archive holdings.